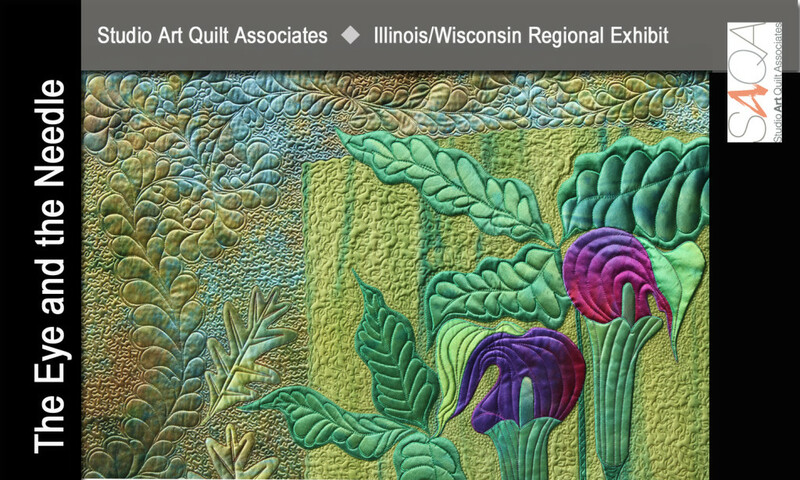 I am a professional member of SAQA – Studio Art Quilts Association. Studio Art Quilt Associates, Inc. (SAQA)is a nonprofit organization whose mission is to promote the art quilt through education, exhibitions, professional development, documentation, and publications. SAQA is divided into regional groups and I am a member and past representative of the Illinoin/Wisconsin group. If you live near by I hope you will take time to come out to the reception and enjoy this show. Oh man! That quilting is exquisite. It is difficult to imagine it being so big…and the colours! Y. U. M.